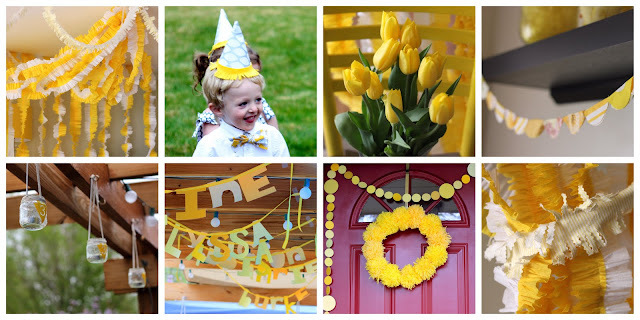 Our first Hello Yellow Party post was picture heavy, but lacking on party details. Sorry about that. 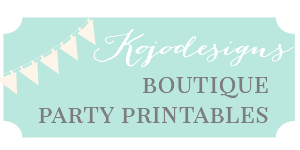 Here they are, friends- all of those party details you’ve been asking about (and more pictures… I couldn’t help myself). Our son Burke and five (yes, five!) of his closest friends have birthdays within just weeks of each other. Of course, a fabulously gigantic Turning Three Extravaganza was an order. In their darling coordinating attire (made by one of the moms, Kimiko), the six guests of honor couldn’t have been more adorable! Several of you have asked how we came to “Yellow” as a theme. Funny story there- when Burke requested an “Anglerfish Party,” or an “Anteater and Tapir Party,” I just stalled (I didn’t refuse, but didn’t agree either). 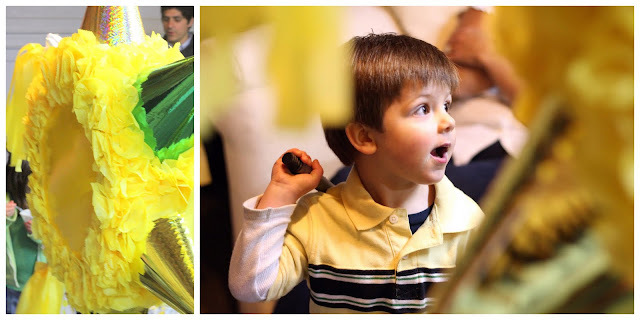 So when he mentioned a Yellow Party, I eagerly agreed and started the plans immediately (before he could ask for an Abstract Artists of the 1800s Party or something). Luckily, yellow foods are pretty easy to come by, so putting together an all-yellow menu was fun and easy. Our All Yellow Fare included lemon chicken, curried chicken, an all yellow fruit tray (bananas, pineapple, and mango), corn casserole, mac ‘n cheese, corn tortilla chips with corn salsa, banana pudding, layered yellow cake with buttercream frosting, and snowcones with homemade lemon, mango and pineapple syrup. Even though the kids snacked from the ‘grown up table’ as well, it’s fun for them to have their own spot, stocked with kid-friendly fare. The turkey sandwiches, Pirate Bootie, goldfish, cheese kabobs, yellow apples, pineapple, and yellow donut holes were all hits. Along with an assortment of yellow beverages (cream soda, mango soda, clementine Izze’s, and beer), the Lemonade Bar was a party favorite. Rows of mason jars with yellow striped straws lined the lemonade table, inviting guests to sample the Strawberry Lemonade and Watermelon Lemonade. Of course, Traditional Lemonade was also available. Guests added berries, mint, tea and vodka (just the grown ups, of course) to make their very own, perfectly personalized lemonade. My pick? Strawberry lemonade with mint and blueberries mixed in. 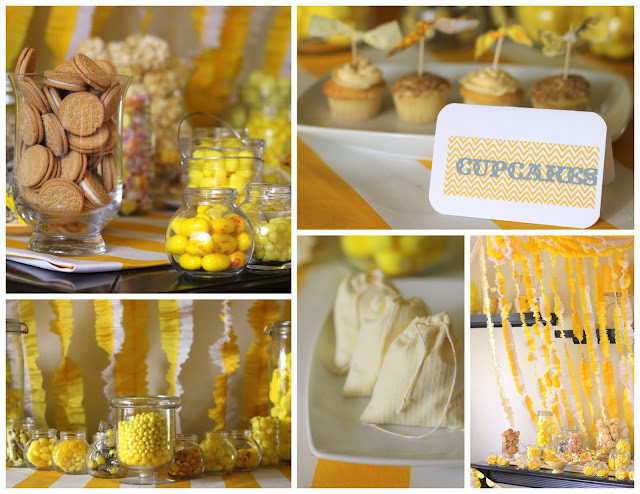 Set under a canopy of ruffled streamers, sitting on a table with a yellow striped runner, and filled to the brim with yellow goodies, the dessert table was The Gathering Place for small guests all evening. The treat lineup? Lemonheads, lemondrops, top banana, lemon, and pina colada Jelly Bellies, Peeps, dipped pretzels, Reese’s, yellow saltwater taffy, Nilla Wafers, yellow donut holes, Butterfingers, yellow gumballs, yellow M and Ms, butterscotch candies, mini popcorn balls, yellow mini cupcakes, and little banana candies. The biggest yellow pinata you ever did see and a bounce house provided hours of entertainment (though none produced the level of excitement as the Dessert Buffet- haha!). Stay tuned for some party how-to’s and tutorials (any special requests? I don’t know where to start). What an absolutely sweet party! And take away the kids' table and you have a party fit for an adult! I bow down to your party planning skillz. WOWsas. What a beautiful party! 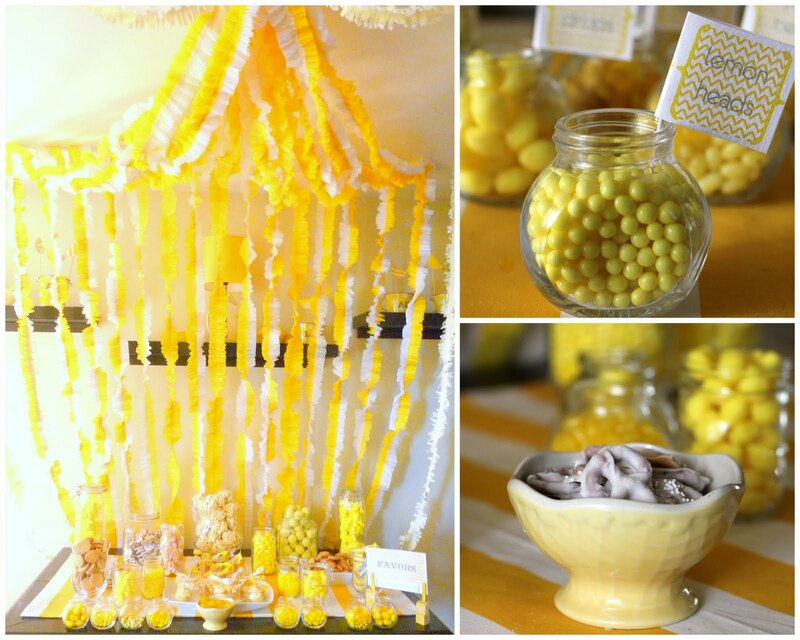 Please let us know how you did the LEMONADE mason jars, I would love a tutorial on those please. Thanks so much! What a beautiful finished product! Yellow is such a beautiful color. I really liked the scallops because each one is different. How would you make those. Also, with your treat station, where did you find all of the cute different glass jars? Did you just find them at a craft store? Can you do a tutorial on the glass candle holder? Thank you!! Amazing! Oh the detail! Oh the food! Oh the yellow! It must have been a perfect day. The photos look beautiful! Wow! what an amazing party!! 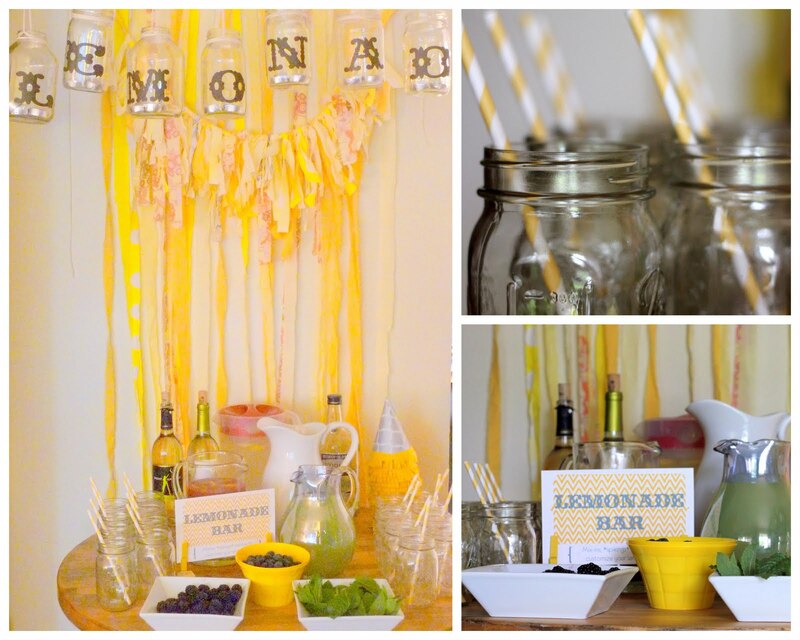 I adore the Lemonade Mason Jar Banner! Super cute!!! Strawberry and Watermelon lemonade recipes please! This party is just TOO adorable! Congrats on the mention on Hostess with the Mostess as well! I absolutely love this! So creative! And that lemonade bar … I'm speechless! I love your parties! Where do you get your fun labelled card fonts and backgrounds? I especially love you "Lemon Drops" label.